← Don’t forget to book by Monday – Oops – Sorry I was supposed to get this email out earlier today!!!! 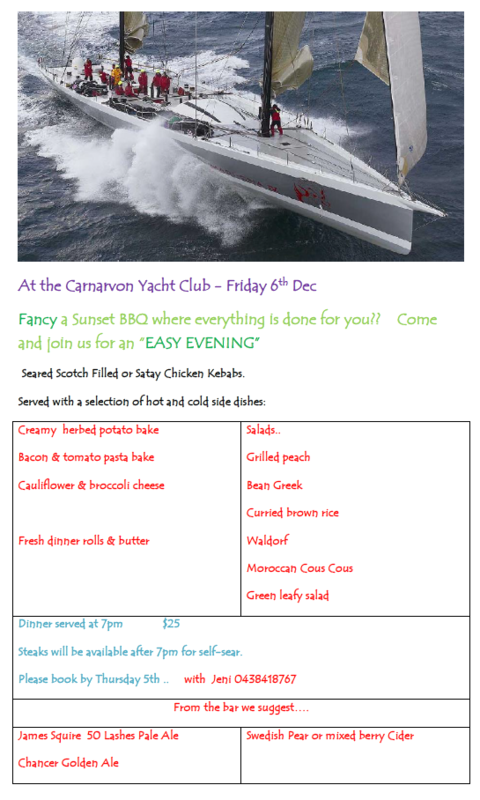 Christmas Party Sunday, and Dinner Friday at the Yacht Club this week!!!! Book by Thursday for a fabulous "Jeni’s Dinner" on Friday Night! 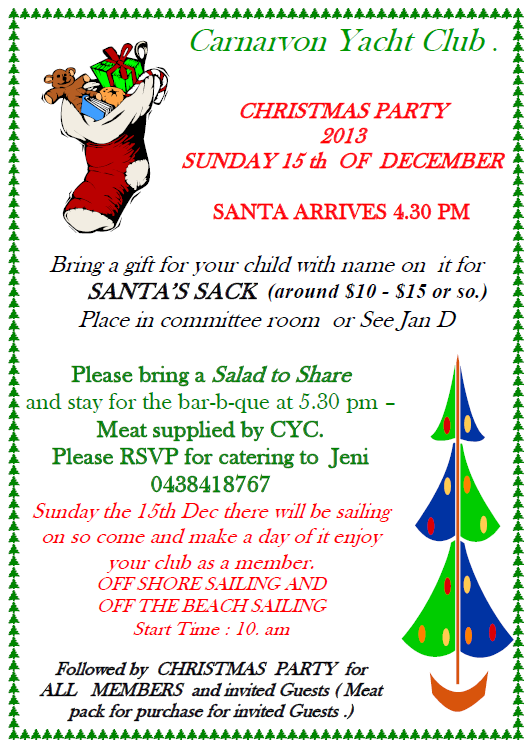 Don’t Forget the Christmas Party on SUNDAY! – ho ho ho! Please book with Jeni to help catering!!! !